Educational Qualification : A Bachelor Degree in Law (LLB) (from a University / Institution / Board recognised by Govt. of India / approved by Govt. Regulatory Bodies) and enrolled as an advocate with Bar Council. 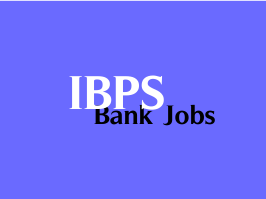 Address to sent Applications : The General Manager - Administration, Institute of Banking Personnel Selection, IBPS House, Plot No. 166, 90 ft DP Road, Off Western Express Highway, Kandivali (East), Mumbai - 400101.